^ Chilton, Martin (2016-04-25). 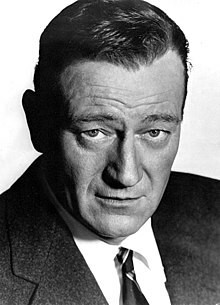 "John Wayne: 10 surprising facts". The Telegraph. ISSN 0307-1235. Retrieved 2017-10-27. 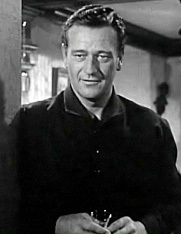 ^ "JOHN WAYNE – The Duke – Vallarta Tribune". Vallarta Tribune. 2016-05-19. Retrieved 2017-10-27. ^ Farkis, John (2015-03-25). Not Thinkin'... Just Rememberin'... 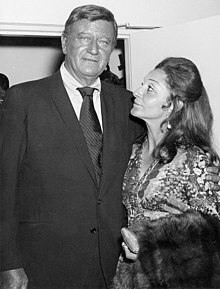 The Making of John Wayne's "The Alamo". BearManor Media. ^ a b Hiltzik, Michael (February 21, 2019). 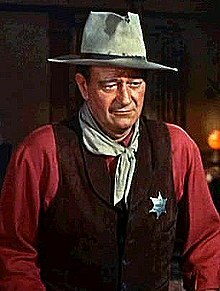 "It's time to take John Wayne's name off the Orange County airport". Los Angeles Times. Retrieved 23 February 2019. ^ Konicki, Lisa (6 June 2016). "Who's New: Runaway June". 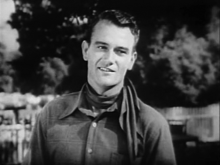 Nash Country Daily. Retrieved 23 January 2019. 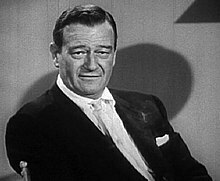 ^ "John Wayne Dead of Cancer on Coast at 72". 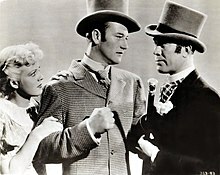 www.nytimes.com. Retrieved 2017-10-27. ^ Company, Our Sunday Visitor Catholic Publishing. 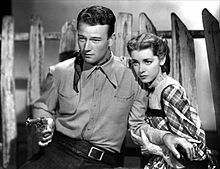 "Everyone called him 'Duke': John Wayne's conversion to Catholicism". Our Sunday Visitor Catholic Publishing Company. Retrieved 2018-06-10.